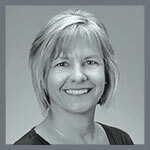 Carmen, your real estate consultant for Truckee, North and West Lake Tahoe shares her passion with the community by providing monthly guided hikes, and snowshoe trips. through our beautiful backyard of endless trail systems. 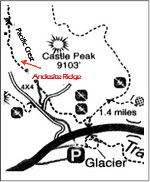 Join us March 9th, 2019 at 9:00 AM to hike Andesite Ridge. Directions: From Truckee take the Boreal exit off I80, turn left and go under the overpass. Turn left again and head down the frontage road to the PCT trailhead where we will park. We will snowshoe on the snow packed road amongst the frosty trees until we reach the trail. From there it is a gradual climb to the top displaying wonderful panoramic views of Castle Peak, and the Summit.